I have sought to ensure that the color of the sky in your world is as bright and blue and promising as the startling blue of your eyes. I certainly want you to have all of the skills to fend off the adversity that life will no doubt sling at you, but also want to give you the ineffable skill of optimism. Optimism has been an enduring companion of mine for as long as I can remember. This puzzles many who know me well, including your Mother. Because people who know me, know the unusually bumpy ride of my childhood, culminating in my refusing to go to the Air Force Academy and my Father dumping all of my belongings in the front yard in a light August drizzle when I was 17. I gathered those belongings and struck out into the world without a dime to my name and no resources on which to fall back if I made a mistake. Yet, I never wavered in my optimism. It served me well. Before that, In High School, I was drawn to descriptions of ideal systems and forms. 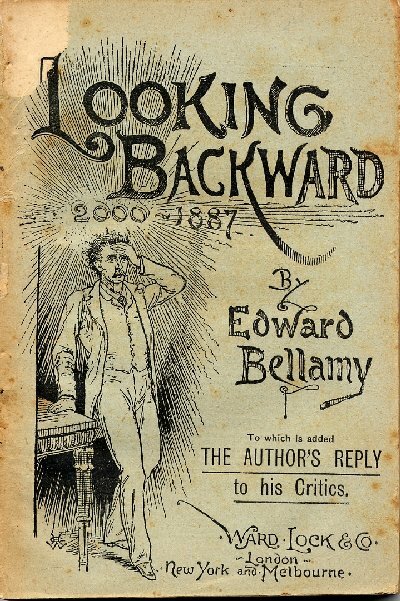 I once wrote a 50 page paper by hand about Edward Bellamy’s book Looking Backward. I remember my English teacher being very surprised by my enthusiasm for it, and even a little worried. I went from there to devour Sir Thomas More’s Utopia and other descriptions of ideal systems for living. I read Plato and Aristotle on my own (do kids do that today?) in order to tease out those ancient ideas. They never spoke of optimism overtly then, only of ideal forms. The Middle Ages happened soon after. Life was nasty, brutish and short again and there is no mention of optimism until the Enlightenment. Great people like Sir Isaac Newton and Liebniz strode on to the stage then and, although they were still superstitious and fearful, began to talk once again about the capacity for poor dumb humans to bring about better, even ideal forms and societies. Liebniz called it “optimisme”. But he meant it in a way far different from how I interpret the limitless possibilities humanity has. Liebniz thought this was the best of all possible worlds, but he also thought God was a mathematician. If God is a mathematician then he/she absolutely must approve of humans working with their artifacts and tools (nod to Doug Engelbart) to create software to improve our existence.